← What’s the Best Love Story of All Time, Sheila? Well, it’s that time of year again. The week of love is here (otherwise known as the week when people everywhere in brand new relationships find themselves wishing that the rules were clearer as they wildly fluctuate between buying a gift which involves more than one diamond or tweeting their new significant other a picture of a giraffe in a bowtie). Vicki, what is the best love story of all time? 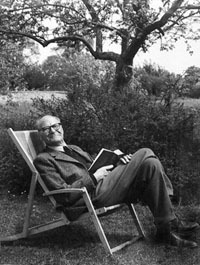 The story goes that Gilbert Ryle was once asked if he ever read any novels and he replied, “oh yes. All six, every year.” Any of those six novels he was referring to, the lot of them written by Miss Jane Austen, might happily qualify as the greatest love story of all time. But the one for me is Persuasion. Anne Elliot, has always been overlooked by most everyone in her life, “her word had no weight, her convenience was always to give way – she was only Anne.” So much so that when she falls for the only man she will ever love, Captain Frederick Wentworth, and has the good fortune to find him returning her feelings she ends up being persuaded that the match is not in her or his best interests, the latter being all that concerns her. Eight years of regret later and Anne is all of seven and twenty and it is generally agreed by anyone in her circle who cares to notice her that she has quite lost any bloom of youth she may have once had. When several twists of fate conspire to bring Captain Wentworth back into her life she finds herself just as in love with him as ever but he, it seems, cannot forgive her for allowing herself to bend to persuasion all those years ago. Reading this novel with an autobiographical eye makes it all the more poignant with its strong focus on missed opportunities and the pain that can come from leaving only a few words unspoken. Indeed, Anne says so little throughout the course of the novel that adaptions have often struggled to bring this story to life. All of Anne’s intelligence and kindness are shown in her reflections and actions which are ignored by those around her and even side-lined within the structure of the novel itself in favour of the trivial chatterings of all the supporting characters. Only Austen’s flare for satire could make this technique work so well and keep the reader so resolutely on the side of the shy, retiring (occasional doormat) Anne. One of my favourite elements of this love story is how beautifully Austen captures Anne’s sensations of being in love. I don’t know about anyone else but when I’m around someone I’ve fallen for it feels like coming down with the flu combined with a prolonged panic attack. Not everyone feels like this but it was immensely comforting for me to see Anne’s sensibilities reacting in much the same way and she is such a sensible character (especially in contrast to those around her) that it didn’t make her or her feelings seem ridiculous. I love too that it’s not simple, as it never is. A reader can simultaneously see that Captain Wentworth’s anger is entirely understandable, justified even, at the same time as knowing that he’s got it all wrong. Each character, no matter how preposterous, makes perfect sense and each have excellent depth which makes the whole easily correctable situation seem not only real but utterly insurmountable. Every time I re-read this book, though I know what will happen, I can never quite believe that the solution really will come. Given that it could so easily go wrong at the beginning, that the chances to correct it are so fleeting and so much needs to be explained, it hardly seems possible that, “a word, a look, will be enough,” to put it right. What do you think? 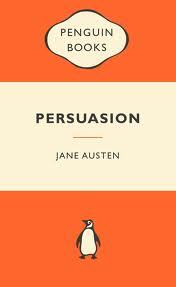 Is Persuasion the best love story ever told? Let us know in the comments. This entry was posted in Interviews, Meet the DA team and tagged editorial, Jane Austen, literary agency, literature, love story, Persuasion, Vicki Le Feuvre, writing. Bookmark the permalink. 1 Response to What’s the Best Love Story of All Time, Vicki?